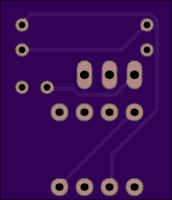 2 layer board of 0.69 x 0.80 inches (17.5 x 20.3 mm). Uploaded: January 28th, 2018 01:19. Keeps the tiny arcade in demo mode. 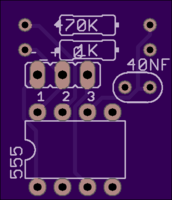 BOM: 1k resistor. 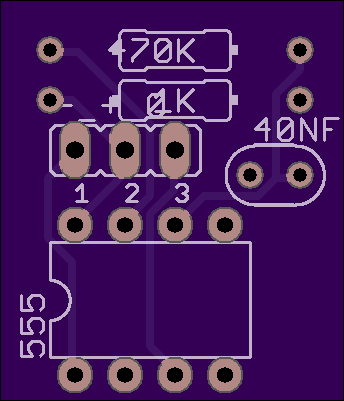 470k resistor. 555 timer. 40nf capacitor. Connect pad labeled “1” to Ground. Connect pad labeled “2” to Power. Connect pad labeled “3” to “try me” button pin on main board.